Hello, Gorgeous! : Christmas lists & this week's looks. 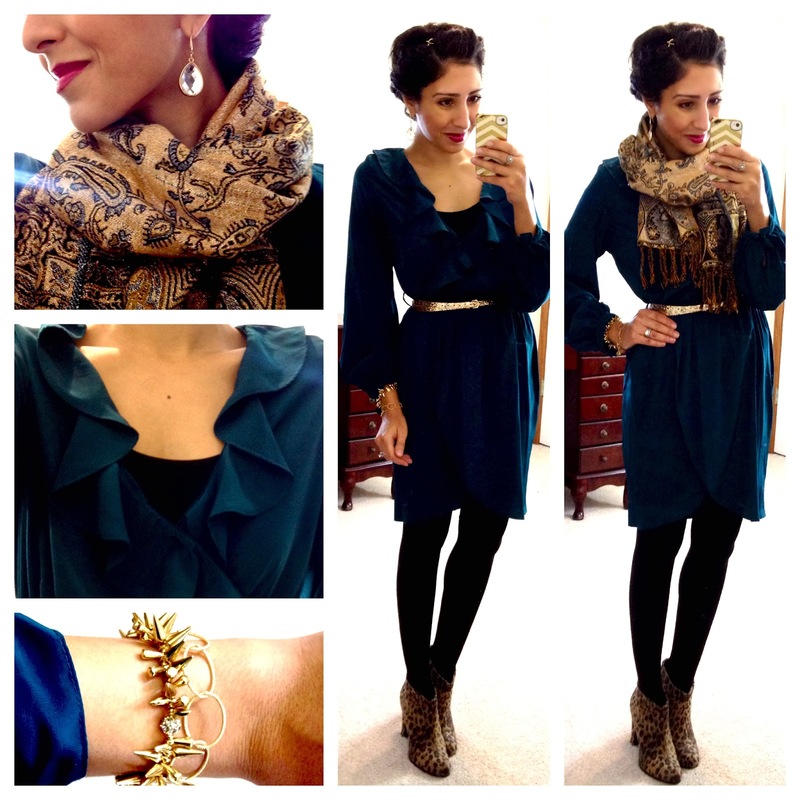 You basically nailed my entire winter wardrobe: sequins, leopard, and elbow patches! Love it! I am drooling over the red and black outfit!! Can I move into your closet?!?! Your black watch is gorgeous!! Great plaid shirt! And that red top with the sequin sleeves...LOVE! Party ready!! ok, that red tunic??!! Amazing! I'm heading over to check it out now. Loving those sequin elbow patches!! 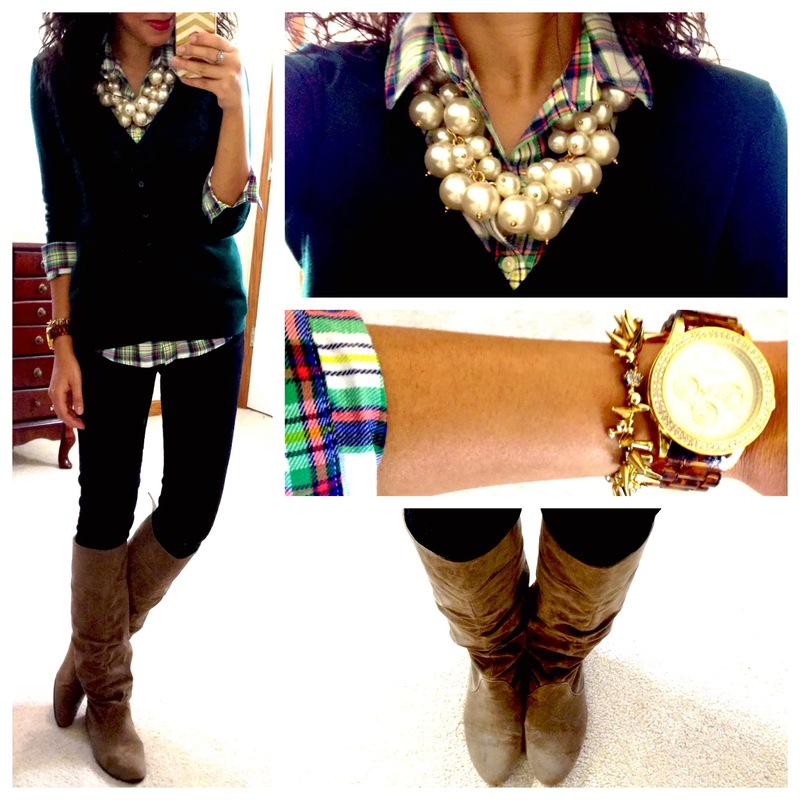 Love the plaid outfit! Featured similar feminine plaid pieces on livelyandlovely.com today. I love your leopard print booties! I bought the tall cognac boots you wore in a lot of posts last year, and haven't found an outfit they don't look great with! I am gonna wear them out! Wonderful collection of Christmas gifts regarding fashion especially for the women. As we know that everyone have desire to have great collection of items related to Christmas. I'm happy to click here to have all information related to it. Oh WOW! Your dress designs are looking fabulous. I really appreciated your dressing sense and elbow patch. Your style always inspires me to try different with my clothing and get rid of boring dresses.